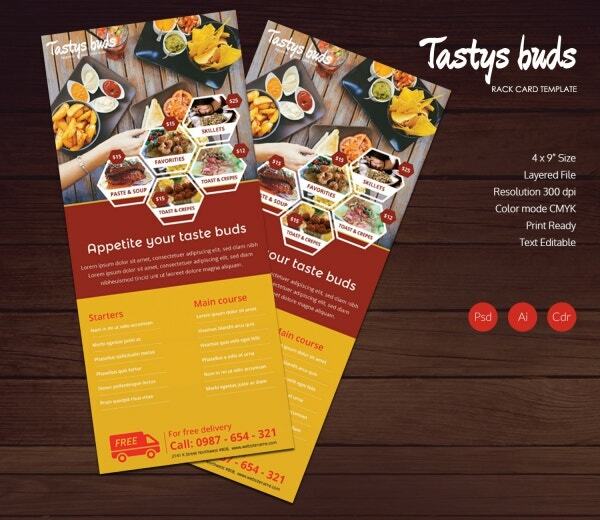 A restaurant may be required to use brochures, posters, ad banners, rack cards, identity cards and even billboards for a variety of reasons. Here, you will be getting templates which can be used for each of them. The best part about these templates is that they are fully editable. That means, once you download the template, you will be able to customize them to add your own details. Let’s not forget, all of these have been designed by the experts in keeping with your needs. You can also see Restaurant Logos. 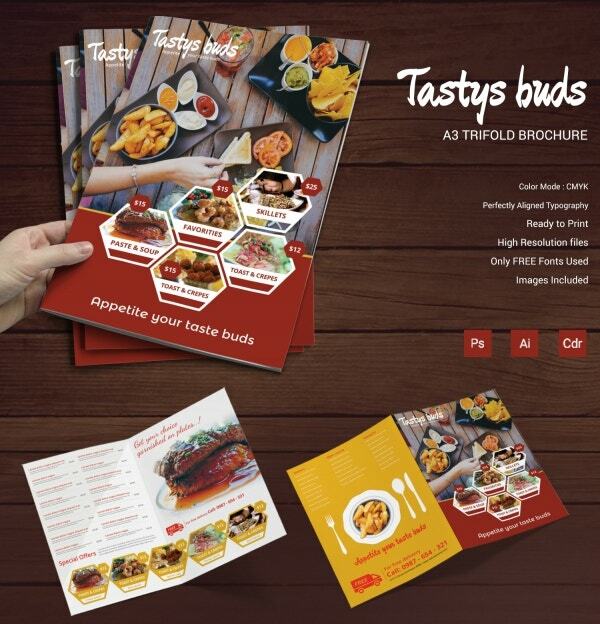 A trifold brochure is going to come in handy if you’re planning to create a menu. It would allow you to efficiently organize the various items on the menu. Also, you would be getting the template in a color format of CMYK. The template also comes with perfectly aligned typography and high-resolution files. 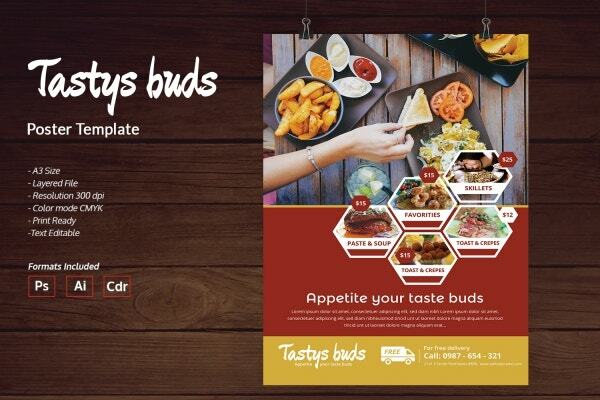 If you want to plan an elaborate menu for your restaurant, then you could take the help of this template which provides you with three pages to organize your items. Also, since this is bifold, you would be getting ample space which prevents it from looking clumsy or cramped up. This template comes out in an A3 size and a layered file. Also, you would get high-quality images in a resolution of 300 DPI. Plus, the text is fully editable. 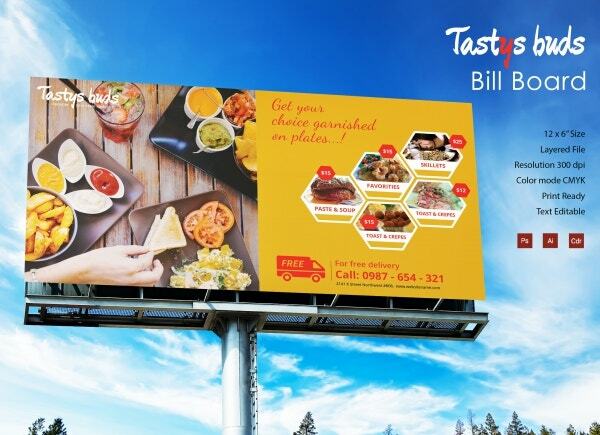 A billboard can be a great way of advertising for a restaurant or even a new deal at a restaurant. For that, you can take the help of this template. 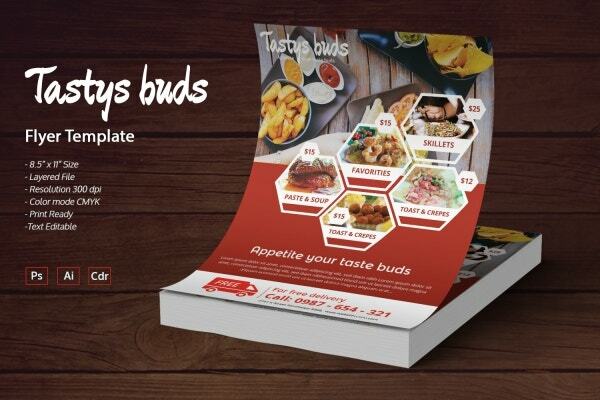 It uses the right size for a billboard which would be 12 x 6-inch and also a layered file. Most importantly, the text present on this billboard template is fully editable and customizable. 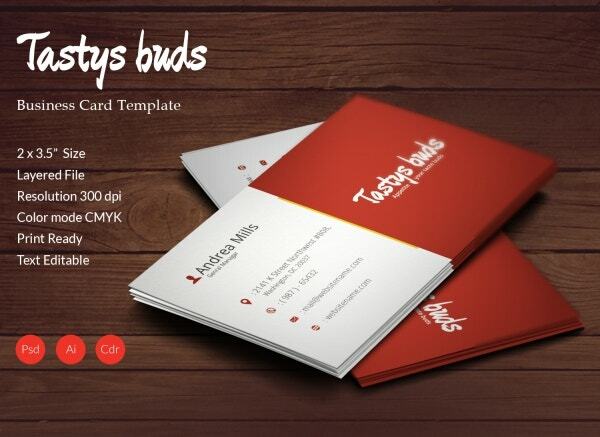 If you’re planning to hand out special business cards that can be used by a restaurateur, then you could take a look at this template. The classic red and white combination has been spot on and uses a color mode of CMYK. Also, you would be getting a layered file in Business Card Template as well. 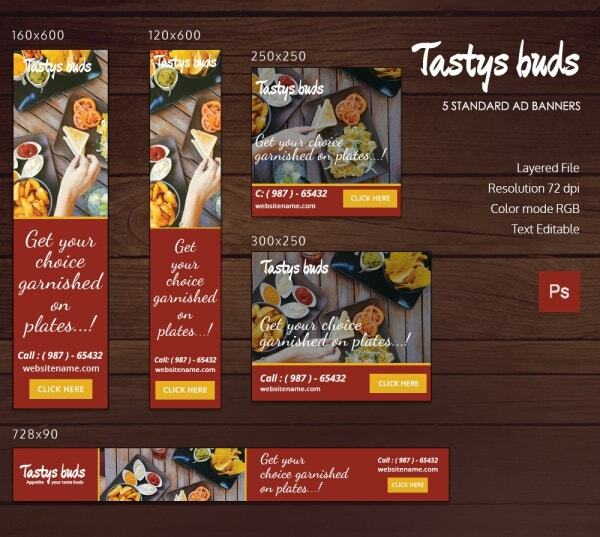 In this particular template, you will be getting 5 standard ad banners, all of different sizes. 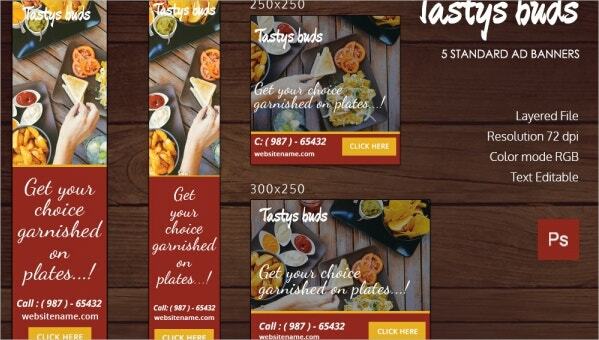 You would be able to customize each ad banner in any way you please. You would be getting them all in a layered file and also in a resolution of 72 DPI. Also, the text present on the ad template has been kept fully editable and customizable. A cover page of an eBook needs to be attractive and interesting enough. Well, that’s one thing you wouldn’t have to worry about with this template. 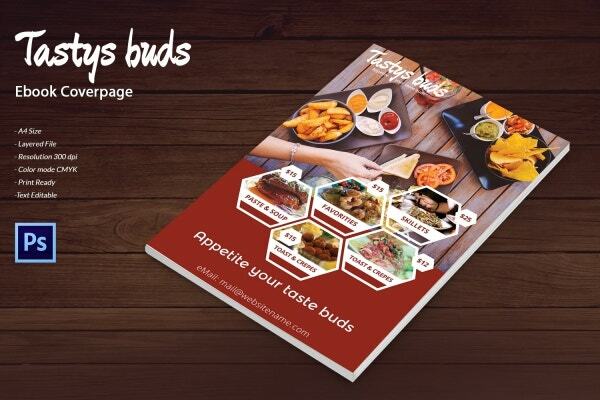 With a number of images of scrumptious food items, your guests are sure to be attracted. Also, you would be getting the template in a layered file of A4 format. Plus, the template has been made ready for printing. 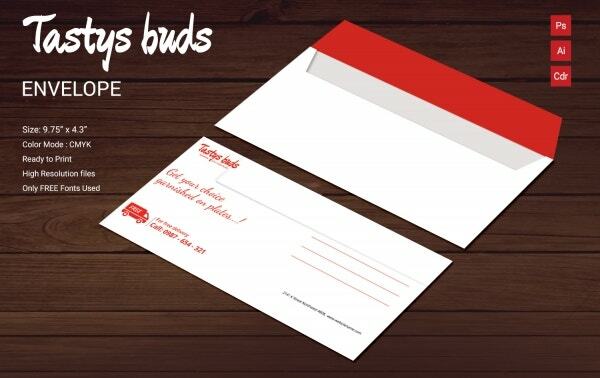 An envelope at a restaurant could be used for a number of different purposes. If you’re planning to create personalized ones for yourself, then you could use this template. You would be able to use the free fonts that come with the template. Also, the template uses a CMYK color mode and only high-resolution files. A flyer would be great for business since this would be a good way to appeal to customers. The best part about this template is that the text that you get is fully editable. That means you will be able to customize the template any way you wanted to download it. Also, you would be getting them in a layered file and it uses a resolution of 300 DPI. 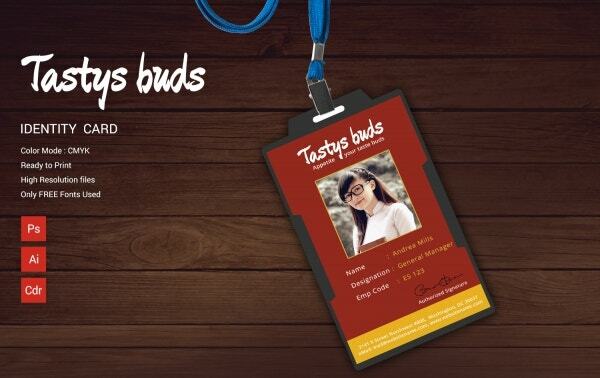 Usually, restaurants have specialized identity cards for all employees. If you’re planning to create one too, then you could take the help of this template. You would be able to keep the overall format same and simply edit the essential details and image of the template. Also, you would be getting it in high-resolution which guarantees top quality. An invoice, which is synonymous with a bill or money receipt, is a common thing at a restaurant. 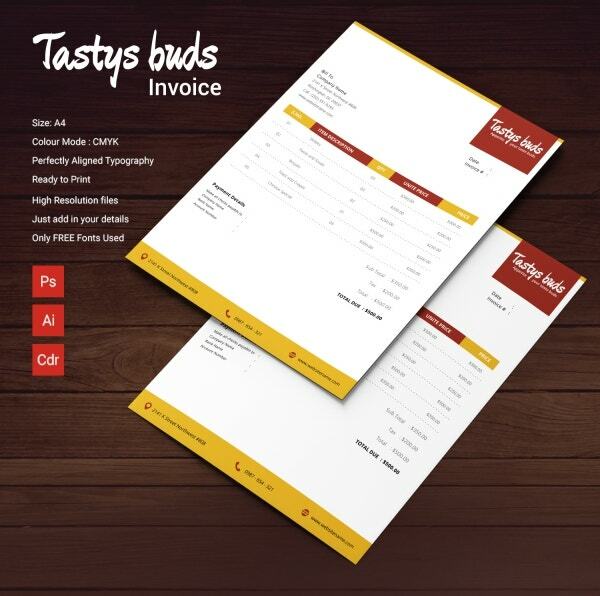 With this template, you would be getting an invoice in an A4 size template and also a color mode of CMYK. Also, here you get perfectly aligned typography which makes the template look all the more attractive. 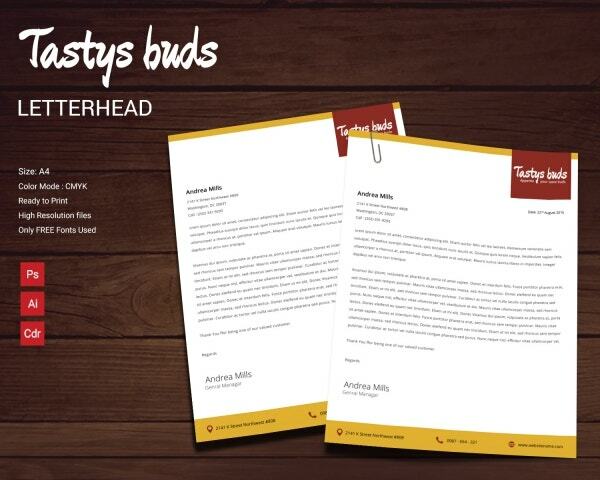 A letterhead is the first thing people notice about your official letters and documents. For that, you can take the help of this template. The best part about this template is that it has been made ready for print and also comes with free fonts. Also, you would be getting the template in high resolution. It comes in an A4 size and that makes it easy to use. As you can see, this postcard mainly emphasizes on the images. It would also allow you to add your tagline to make it more memorable. Also, you would be getting it in a 4.25 x 6.25-inch size and a layered file. Also, you would be getting high-resolution files and a color mode of CMYK. The text here is completely editable and is ready to be printed once customized. A poster needs to be eloquent and grand. That is exactly what you get with this template. Here, you would be able to edit the text in order to make it your own. You would also be getting a layered file and color mode of CMYK. Also, the template uses a resolution of 300 DPI and it comes in an A3 size format. 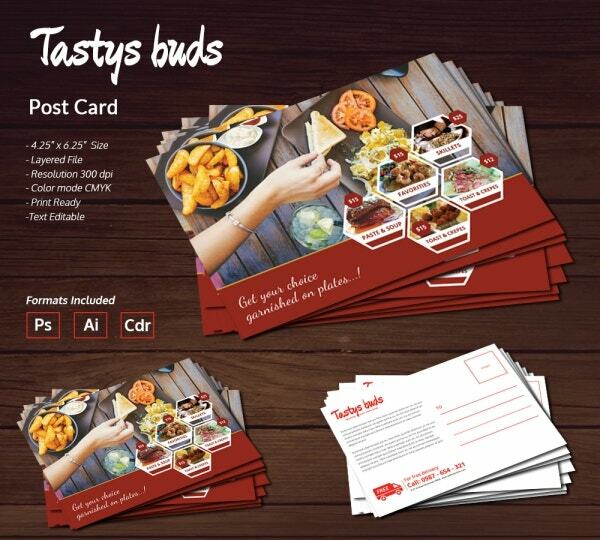 This template perfectly follows the overall format of a rack card and contains all the essential details. It also contains a layered file and has a size of 4 x 9-inch which would make it easy to use. Also, here you would be getting a fairly high resolution of 300 DPI and a color mode of CMYK. Plus, the template has been kept fully customizable. Social media has become one of the biggest platforms which can help you reach out to potential customers. 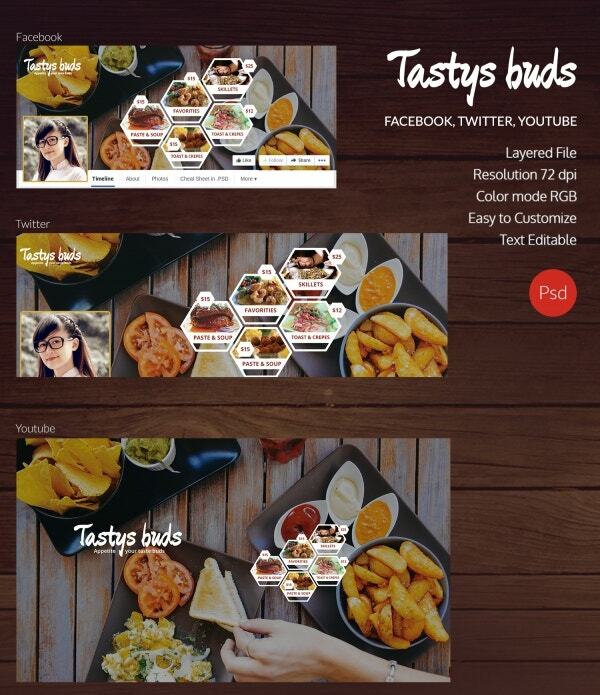 This template here would allow you to design cover pages for three major platforms- Facebook, Twitter, and YouTube. You would be able to edit the text present on the cover images which have been designed specifically to suit all three platforms.